Yamaha R15 v3.0 uses an engine derived from the Yamaha NMax 155. Yamaha has confirmed that the 2017 Yamaha NMax 155 is heading to Japan, where they aim to sell 5,000 units in the first year.. The scooter is manufactured by PT Yamaha Indonesia Motor Manufacturing. The Yamaha NMax 155 gets fuel injection, all digital instrumentation and a 24- litre under seat storage. The Yamaha NMax 155 is powered by a 155 cc single cylinder, water cooled, SOHC, 4 valve mill which is coupled to a V-belt type CVT gearbox. The fuel injected engine is capable of producing 15 PS of maximum power at 8,000 rpm and 14 Nm of peak torque at 6,000 rpm. The fuel efficiency is a claimed 41.7 km/l under the WMTC mode. The maxi-scooter tips the scales at 128 kg and has a ground clearance of 135 mm and a seat height of 765 mm. 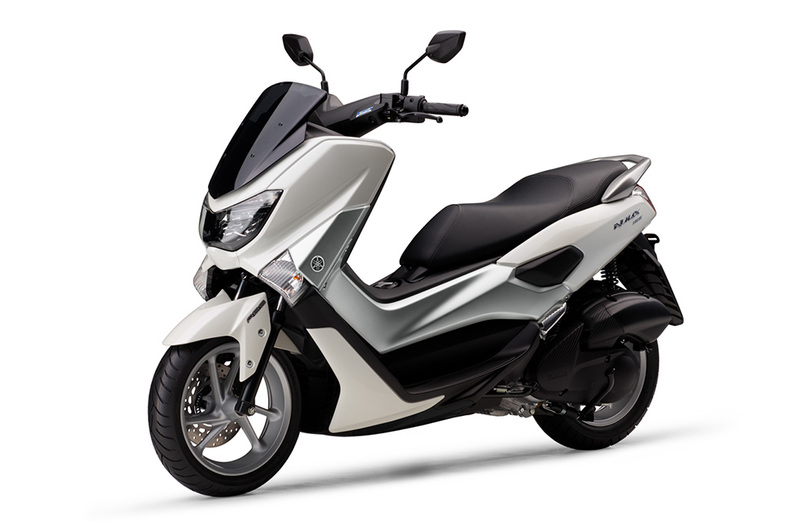 The Yamaha NMax 155 measures 1,955 mm in length, 740 mm in width and 1,115 mm in height. Features include an LCD all digital instrumentation, LED headlamp and taillamp and 24-litre under seat storage. Braking duties include 230 mm disc brake at both ends with ABS as a safety net. The Blue core engine promotes high-efficiency combustion by using aluminium forged piston, all-aluminum DiASil cylinder, offset cylinder, and VVA (variable valve timing). 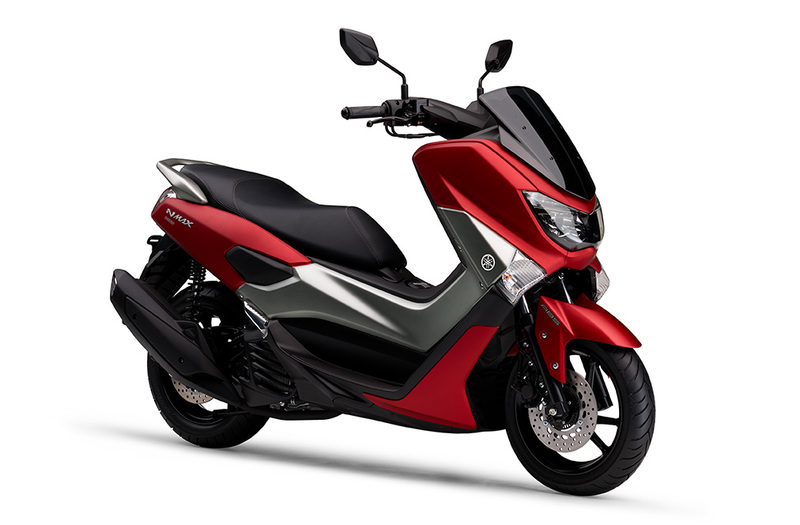 Colour options for the Yamaha NMax 155 includes three new shades of Matt Deep Red metallic, Matt Grey metallic and White metallic. The Yamaha NMax 155 is a 155 cc mill which is capable of producing 15 PS of maximum power and 14 Nm of peak torque. Also Read: Yamaha R15 v3.0 heading to Bangladesh next? The Yamaha NMax 155 has been priced at JPY 378,000 and will be on sale from April 25, 2017.